As a freelancer, clients are your lifeblood. You can produce the best work, or charge the lowest prices, but it will be for nothing if your bad attitude and work ethic push clients away. In order to build a long-lasting business and career, you must always focus on building good relationships with your clients — and it all starts with providing good client service. If you’re able to keep your clients happy, not only will they bring more business to you in the future, you also put yourself way above the competition. Good client service begins as soon as a client reaches out to you. The first thing you should do is remember and spell their names correctly. You will be surprised by how many freelancers make that mistake due to a moment of carelessness. It might seem minor, but misspelling a client’s name will leave a bad first impression, and they might think that you aren’t invested in working with them. As such, you should always proofread your messages to ensure that there are no spelling mistakes or grammatical errors. A well-written message goes a long way to show your professionalism, and make the client feel that they are in good hands. From there, get to know the client’s wants and needs. If you have a design process in place, then you should have already gathered information from them and have a good idea on what they are looking for. At the same time, be sure to ask open ended questions to help you gain even deeper insight on the client and their business. With such knowledge in hand, you can then tailor your service to meet as many of the client’s wants and needs as possible. And it’s not just about meeting the bare minimum. Going above and beyond expectations will really make the client sit up and take notice of you. Consequently, you convince the client that you are invaluable to their business, which means they will keep coming back to you for more projects. In addition, they will be more likely to refer you to their peers. Since you will be working with people from all walks of life, having a good network will allow you to further meet the client’s needs. For example, you are working with a small business on a branding project, and they are looking to revamp their website. It so happens that you have worked with a talented web developer in the past. By setting the them up, you’re effectively creating more value for both parties. As you can see, there are many ways to satisfy the client’s wants and needs. By keeping clients happy, they will remain loyal to you and bring referrals with them. In fact, the most effective and low-cost form of marketing is through word of mouth. Conversely, if you disrespect a client’s wants and needs, they will probably spread the word around and dissuade their peers from using your services. In short, good or bad service will have long term effects on your reputation. Being a graphic designer, you might not always agree with what the client wants. Comic Sans might sound good to them, but you know it will almost certainty result in a bad design. In such scenarios, knowing how to manage client feedback will allow you to work out a compromise. If the client is unhappy, listen to what they have to say and find out why they feel this way. Oftentimes, acting on their concerns is the best way to reevaluate and improve your services. It can be hard to not let your emotions get in the way. At the same time, you don’t know what a client’s circumstances are — maybe they are just having a bad day. However, if you choose to argue with them and let your pride get in the way, not only will that hinder the design process, you’re also guaranteed to lose their business forever. In the end, patience is key to good client service. 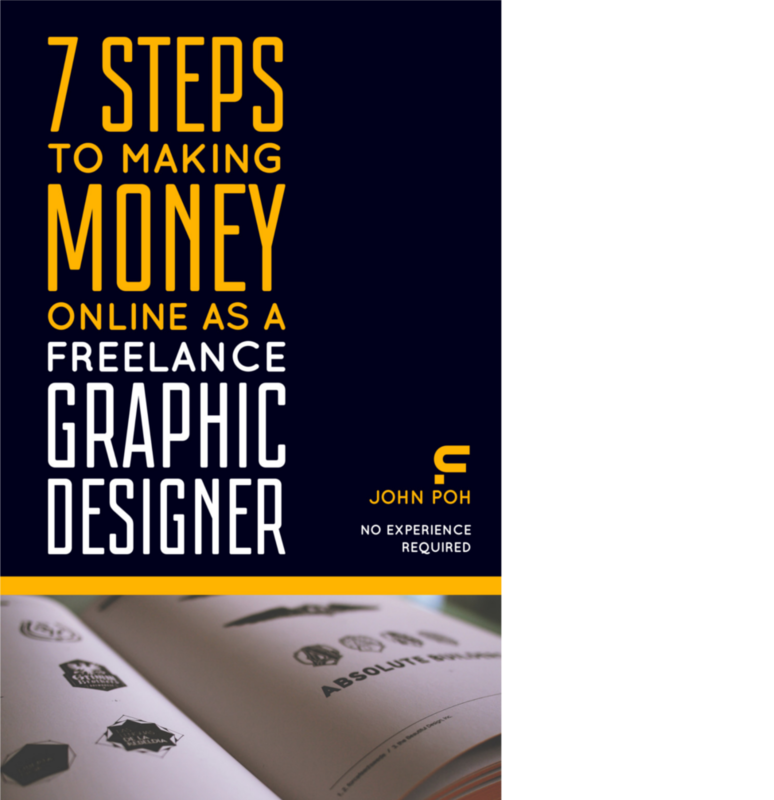 Most clients aren’t familiar with dealing with graphic designers. As such, they might get confused and frustrated by the design process. It’s your job to explain your actions and decisions to them, while guiding them through the whole process. Here’s where having a deep knowledge of graphic design will establish you as a professional — and help you gain the trust of the client. For a graphic designer, good client service is about striving for quality and letting the client know you’re doing so. As such, you should regularly keep the client in the loop, and be transparent about your actions and decisions. If you promised something to the client, then do your best to fulfill that promise. At the same time, don’t be afraid to take responsibility for your mistakes when they do happen. Be willing to provide revisions if the client is unhappy with the product. The bottom line is that you always do your best to find a solution that both parties will be comfortable with. A project is most likely to succeed when there is good communication. Make it easy for the client to reach you, should they require assistance or have a question to ask. In addition, you shouldn’t spread yourself too thin when it comes to communication channels. For a typical freelancer working online, email and Skype is enough to meet the client’s needs. If possible, try to schedule at least one call to the client. Having face-to-face communication is especially important when you’re working with clients remotely. Seeing your face and hearing your voice goes a long way to building a solid relationship with the client. You should also call your client if you can’t reach an agreement with them on a particular aspect of the project. By doing so, you can answer any questions the client may have in a more personal manner. Most clients don’t have the time to hear about how your day is going, so you should be clear and concise when communicating with clients. Always clarify when in doubt — you don’t want to work on assumptions. Be friendly in your conversations, and don’t forget to say thank you. A project usually has deadlines in place. If you’re able to update the client on the progress of each milestone and deliver your work in a timely fashion, they will definitely trust you with future projects. Similarly, you should always try to return any emails and calls within a day. Letting the client know that you are looking into the issue and will be back in touch not only gives them peace of mind, but also conveys your professionalism. Responding in a timely manner allows you to move the project forward, while keeping the conversation going with the client. Certainly, there is a ‘technical’ aspect to client service, as discussed above. But it also boils down to how passionate you are for a project. In other words, if you’re able to approach each project with positivity and interest, you will have no problem providing exceptional service. Freelancing is all about building good relationships. In order to succeed, you have to make good client service a major priority. It’s really about putting the client first, and meeting their needs a timely and effective manner. And if you deliver good work at fair prices, then clients will be loyal to you simply because you bring so much more value to their business.